You can mainly differ between definite and indefinite articles, as you also do in English. German articles vary, depending on the gender (masculine, feminine and neutral), the number (singular and plural) and the case (nominative, genitive, dative and accusative) of the noun they precede. It is very important for you to know some basics of German grammar in order to understand the variations of the articles. Later in this text we will have to talk a lot about German cases. 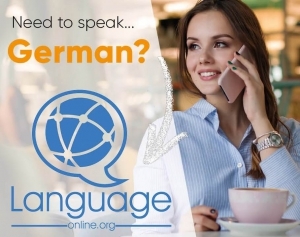 Just follow the link and language-easy.org will be glad to explain these parts of German grammar to you! Well, now knowing some basics of German articles, let’s start right ahead with going into some details! Der, Die, Das and More! The definite articles in German are used when you want to talk about specific objects, dreams and people, etc. All the different forms of articles you will see in following have only one equivalent in English: “The”. Here you can see the basic articles used in German. All of them have the plural form “die”. Der Mann geht in das Geschäft. Die Frau denkt, dass die Schuhe schön sind. – The woman thinks that the shoes are pretty. Be careful when using “die”. As you can see in our last example, the article is the same although one is plural and the other feminine singular. It is important that you always remember the table from above! As you can see, German articles change every time the case changes. Yes, it’s confusing, but with some practice you will get into it soon. Whereas the definite German articles refer to specific people, objects and so on, the undefinite German articel are used for unspecified people and things. You have the following articles: “Ein” and “Eine” which basically have the equivalent of “a” and “an” in English. Here you can see the basic indefinite articles used in German. All of them have the plural form “Eine”. Ein Mann geht in ein Geschäft. Eine Frau denkt, dass ein Schuh schön ist. – A woman thinks that a shoe is pretty. Be careful when using “eine”. As you can see in our last example, the article is the same although one is plural and the other feminine singular. As you can see, the same changes that happen to definite articles also happen to indefinite German articles. So, don’t be lazy and learn these tables by heart! Masculine, Feminine or Neutral? Here are some Tricks for you! Maskulin, Feminin oder Neutrum? Hier gibts ein paar Tricks für euch! Well, it might seem to you that the gender an article or it’s noun have are completely random. But here is some good news: Luckily, there are certain rules that determine whether an article or it’s noun are masculine, feminine or neuter. Of course, there are exceptions, as you can find them in every language – don’t care too much and have a look on the following guidelines. First, wordendings like -or, -ling, -smus or -ig, have nearly every time the masculine article “der”. 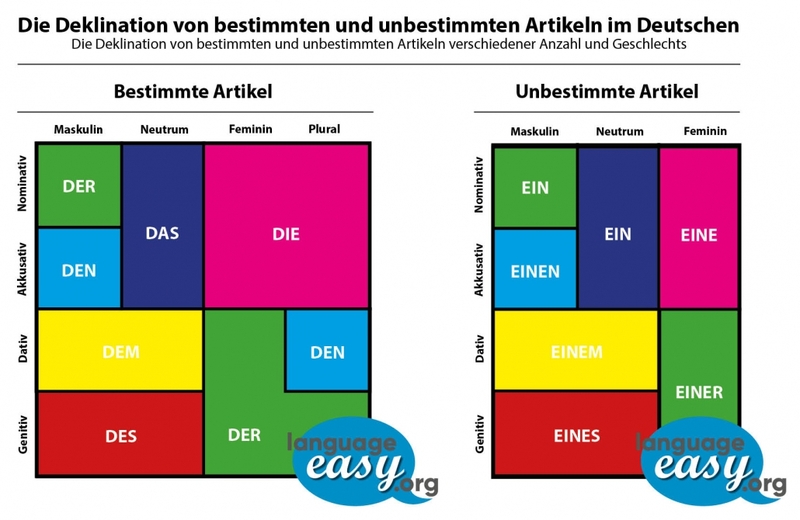 Second, wordendings like -ung, -keit, -schaft, –tät, -ik, -tion, -heit, -e or -ei have the feminine article “die”. Well, after all these rather confusing forms of German articles it is important for you to realize that there is no easy way of dominating this topic. So, you just have to learn your nouns together with their articles – see them as one and the thing. Logically, they simply belong together. And Remembering our tables and tricks, you will see that learning German articles will happen a lot faster than you think!